Thanks to my great friends, we planned a night and got together to make our own. I got the unfinished framed magnet board from Roberts (when we had one near us) for 50% off. 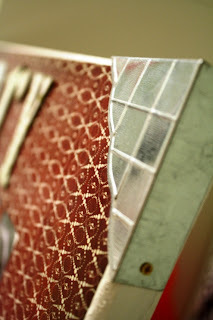 If you can't find a pre-made board, you can make your own with a picture frame & metal sheeting. I found enough chipboard letters in my collection to spell "Merry Christmas". As you can see, I didn't even use all the same type of letters. attached scrapbook paper over my letters & trimmed the paper. I used glue dots to attach ribbon to the metal board. The same local craft store, Porters, had all the plastic circles, so they were easy to find. I think they were around $.20 a piece. Just attach a magnet to the back with a glue dot. And add paper to the front. I used 2 size circles on the front, with one just barely big enough for the sticker numbers. I'm an edge inker if you couldn't tell. I added different quotes or scriptures for every day in December. Each night we take a number down and read the quote or scripture inside. 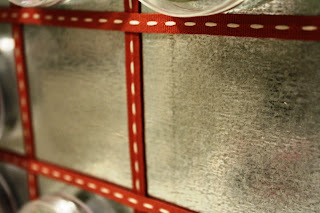 At Roberts I also found these metal embellishments at 50% off & I added one to each corner. This is the final project & it was so fun to make! This is amazing! I'm going to Facebook it. 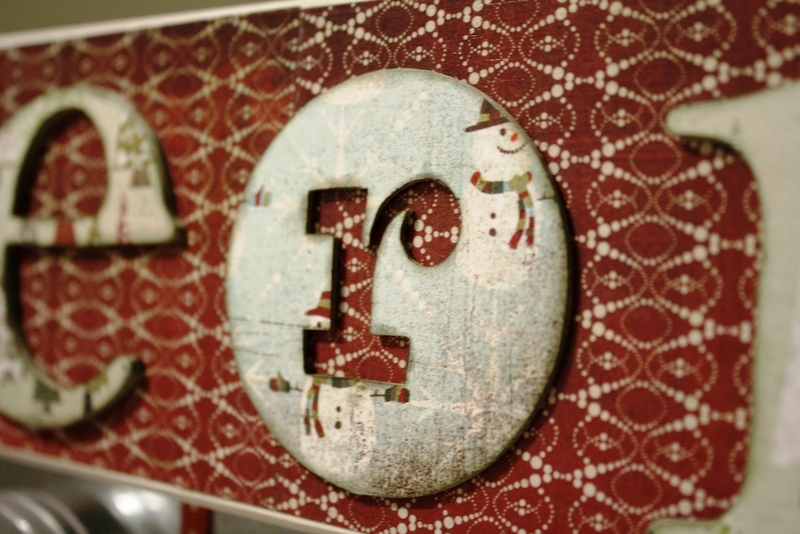 Your advent calendar turned out really great - I like how the chipboard letters are missmatched yet uniform at the same time. What sort of little goodies are you going to put in them? This is a really cute advent calendar. I love the way it turned out! This is BEYOND adorable! Thanks for the inspiration! great idea! this could be used all year with a changeable frame, for goodies, fun family together ideas or chores on the strips. i love this! GORGEOUS!!! I love it! Fabulous job! Dacia I have never been to your blog! It is awesome. 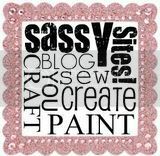 I can't believe how crafty you are. I am definitely going to have to try some of these. I you have any ideas for cheap cute birthday presents let me know. I need to come up with something for our young women.